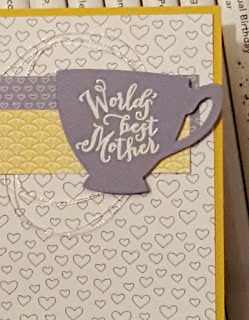 I can't believe that Mother's Day is right around the corner. This year is really flying by fast I wish it would slow down some. I used Stampin' Up! A Nice Cuppa stamp set from the 2016 Occasions Catalog to create my card today. I also used the Cups and Kettle Die set to cut the image, Both the stamp and die sets are on the retiring list. 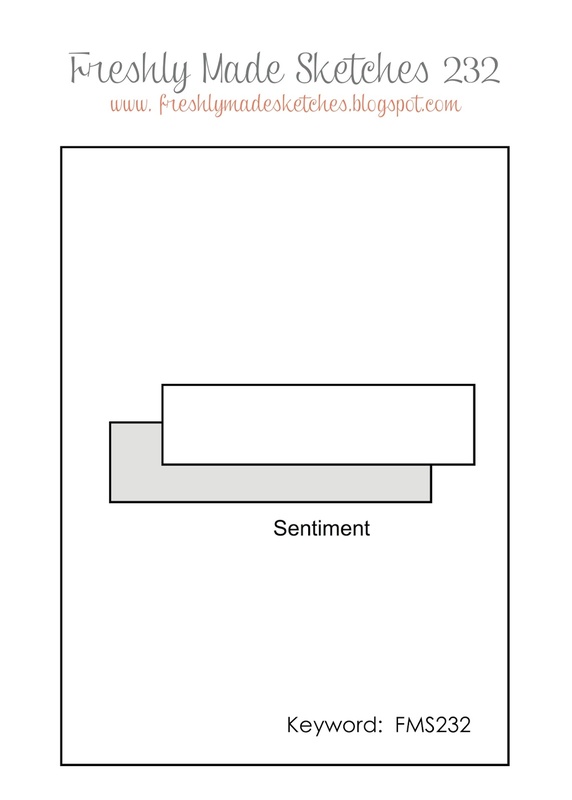 Here is the sketch from Freshly Made Sketches that inspired my card. 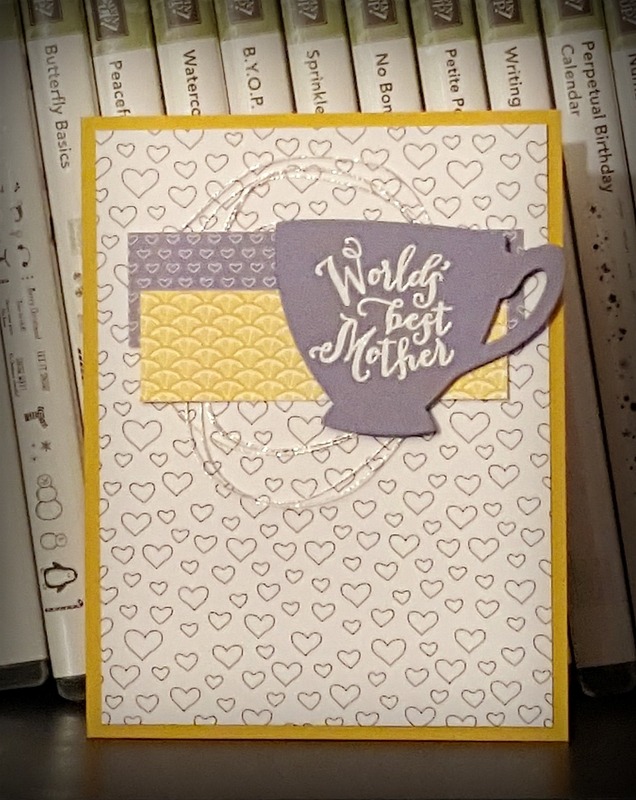 I started by cutting my card layer and strips using the Have A Cuppa designer series paper. First, I adhered the 4 x 5-1/4 layer on the card base. Before adding the strips, I used the silver metallic threads for some added interest. 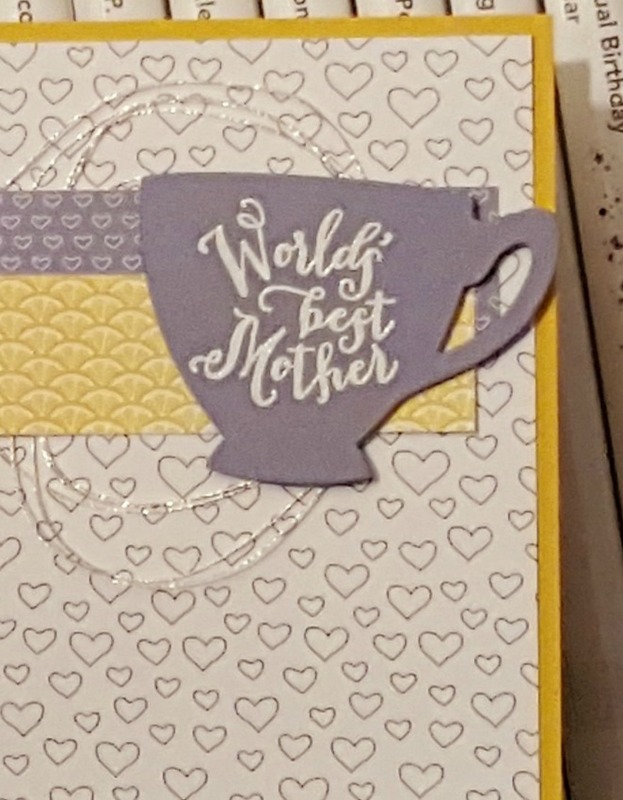 Using the Cups and Kettle dies, I cut out the teacup and embossed the "World's Best Mother" sentiment. 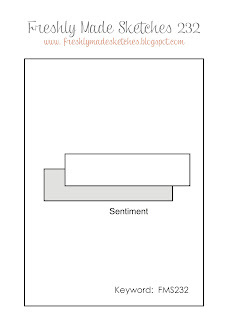 Using dimensionals, I adhered the image to the card. Use this host code when you order and receive a free gift from me! If your order is over $150, please do not use this code. The free gift is your choice of any item valued up to $5.00 in the 2016 Occasions Catalog or 2015-16 Annual Catalog! See my Rewards page for full details.